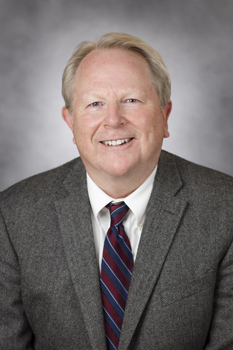 Robert K. Naviaux, MD, PhD, professor of medicine, pediatrics and pathology, and co-director of the Mitochondrial and Metabolic Disease Center at UC San Diego School of Medicine, led the study that tested suramin in children with autism spectrum disorder. 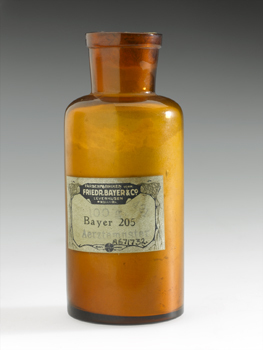 Developed in 1916 by German dye manufacturers Frederich Bayer and Co., Bayer 205 (later renamed suramin) was found to be effective against parasitic trypanosomes responsible for African sleeping sickness (trypanosomiasis). This bottle of suramin powder was given out free of charge for clinical trials of the first production batch. Photo courtesy of Science Museum, London. 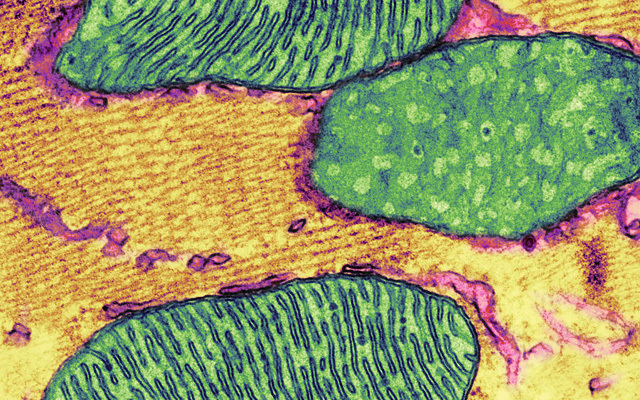 African sleeping sickness (trypanomiasis) is caused by the bite of tsetse flies infected by protozoan parasites belonging to the genus Trypanosoma. 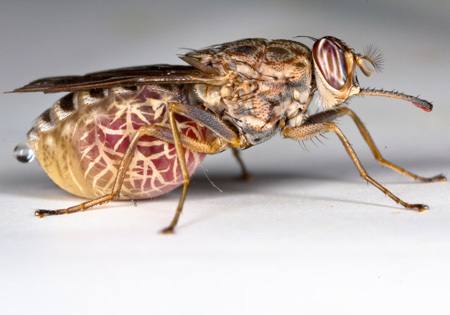 Tsetse flies are found only in sub-Saharan Africa; only some species transmit the disease. Photo courtesy of Geoffrey M. Attardo.